Designing Worlds in Caledon: Wishing You All a Happy Christmas! As is customary on Designing Worlds (well, we’ve done it all three years now! ), we finished our winter season with a visit to the Victorian themed sim of Caledon – but we wanted to show you some different aspects of the Caledonian lifestyle! First of all we visited the town of Tinyville in Caledon Tanglewood – where we saw some of the sets created for the reading of The Wind in the Willows by the Caledon Library – and also, with the help of Mis Garnet Psaltery, encountered a group of Tinies making a rather special Christmas pudding (and you’ll be able to read more about that in Miss Qwis Greenwood’s lovely story in the forthcoming issue of The Primgraph). This was followed by a visit to Caledon Oxbridge where we met the Dean of the University, Miss Martini Discovolante, who described to us how Caledon Oxbridge has evolved from a community gateway (one of Linden Labs’ special areas for new residents) into the dedicated training area it is today, offering assistance, freebies and even free accommodation for new residents, while also offering an introduction to the Steamland regions, and classes for more advanced residents (such as advice on how to transition successfully to Viewer 2). 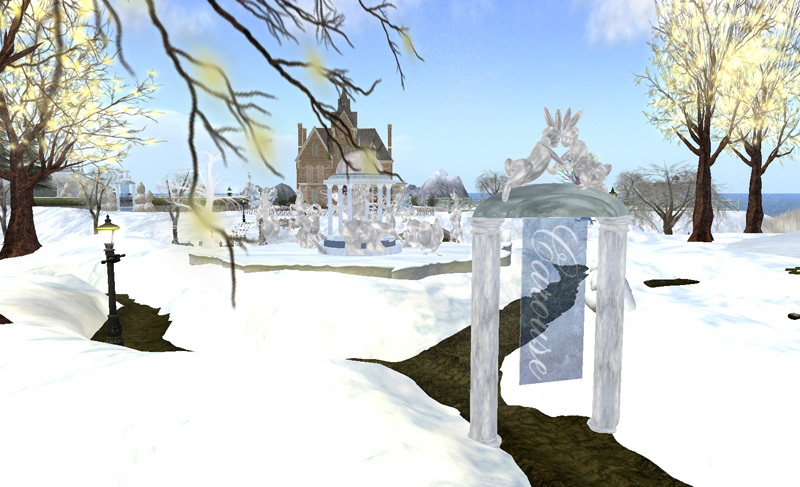 Finally, we visited Caledon Victorian Gardens, where the Duchess, Panacea Luminos, has created a beautiful winter wonderland, with all sorts of wintyer sports for visitors to try! And, of course, we had carols – beautifully sung by Caledonian resident Magdalena Kamenev – who later, after the show, proved herself fiendishly skilled with a snowball cannon! Because we should mention that, post show, our live audience came to join us, and we all ended up ice skating on the ice rink in Caledon Oxbridge – and then having a terrific snowball fight! Celebrate Christmas in Caledon with Designing Worlds! Join us in our Northpoint studio at 2pm SLT today, Monday 13th December as we come to the end of this season with our traditional Christmas in Caledon show. And we’re inviting our audience to join us after the show to try out some wonderful winter sports – so please wear warm Victorian gear for the show – skates and skis are provided! We’ll start the show in Caledon Tanglewood and take a fascinating glimpse at one of the communities there – the Tinies. We’ll be finding out about Tiny events – including a year-long reading of a favourite book -and learning about a magnificent Christmas pudding, too! 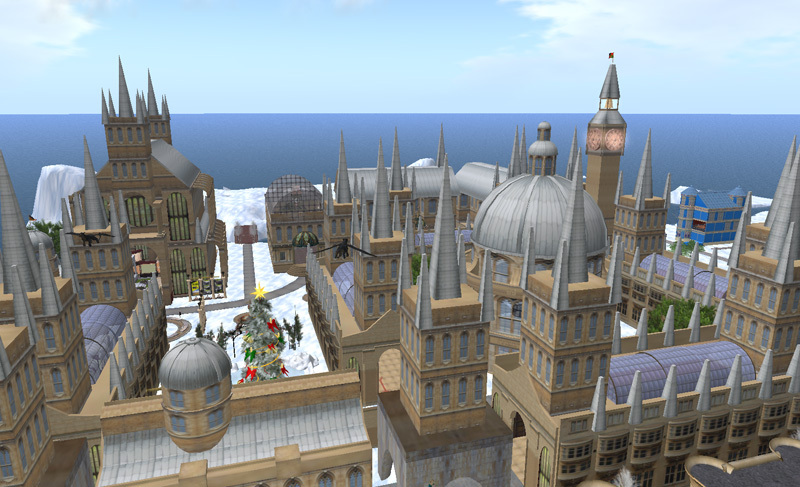 Then it’s over to Caledon Oxbridge to learn all about this vibrant University in Second Life, and some of the courses and events associated with it. Once a Community Gateway, it’s now a thriving independent institution – with something to offer everyone! Finally we visit a region of Caledon that has been decorated for Christmas fun – Caledon Victorian Gardens. You’ll be able to see some of the winter enjoyments set out here – they include skiing, skating, tobogganing, an ice carousel – and a hot chocolate stand! The show starts at 2pm SLT, but you should be in our Northpoint studios by 1.30pm at the very latest to make sure of getting a seat. And afterwards we’re inviting you to join us in Caledon Victorian Gardens to enjoy the fun of the winter sports there! Make sure you are well wrapped up – and suitably Victorian! Or tune in at 2pm SLT on Monday for the live show – where you can now chat with other audience members and even some of the participants during the show – or catch it later in the week on our shows page on the Treet.tv web site. This is the last show in our present season, but we’ll back on Monday 24th January with a whole new season of shows featuring design and designers in virtual worlds! So if you know something that you think we should be covering in our next season, write to us at designingworlds@gmail.com. 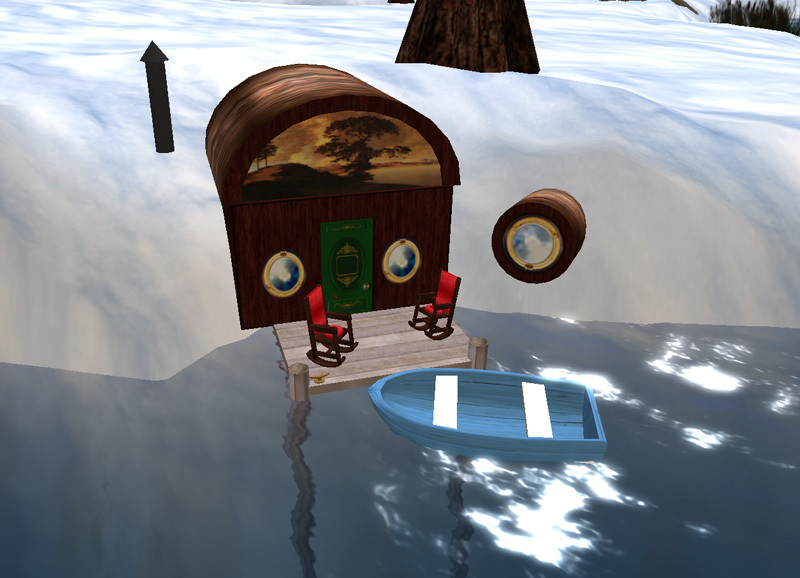 See the Designing Worlds show about the closure of the Frank Lloyd Wiright Virtual Museum! 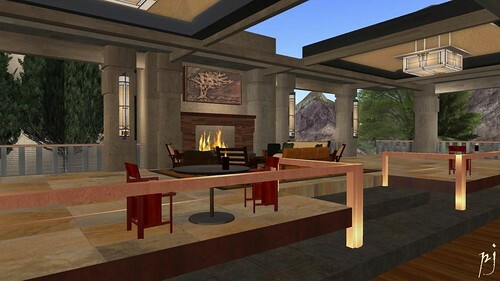 The team from the Frank Lloyd Wright Virtual Museum in Second Life talked to Elrik and Saffia about how the museum has been refused a renewal license from the FLW Foundation and received a cease and desist letter to halt the project. Guests included Rosalie Oldrich, Co-Director, Frank Lloyd Wright Virtual Museum; Rowan Derryth, Board Member, Virtual Museums, Inc.; and Ethan Westland, Chair, Virtual Museums, Inc. Also joining the panel were Michael Schumann(SL:Roy Philbin), Founder/CEO, Second Interest Virtual Business Solutions, the team behind the Dresden Museum, and Dirk Talamasca, Virtual Worlds Developer. In the first half the show we focused on the closure of the Museum and how (and possibly why) that had happened. In the second half, we looked more broadly at the concept of intellectual property in virtual worlds and different attitudes towards it, particularly in the realm of museums and cultural heritage. All in all, a fascinating show! 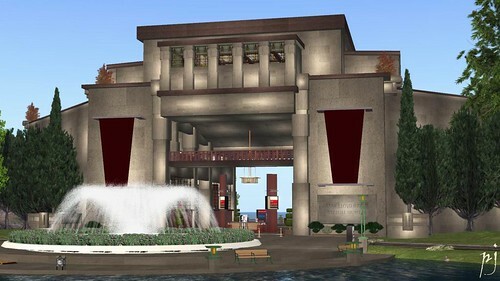 Join us in our Northpoint studio at 2pm SLT today, Monday 6th December as we host a discussion show on the recent events leading to the closure of the Frank Lloyd Wright Virtual Museum. 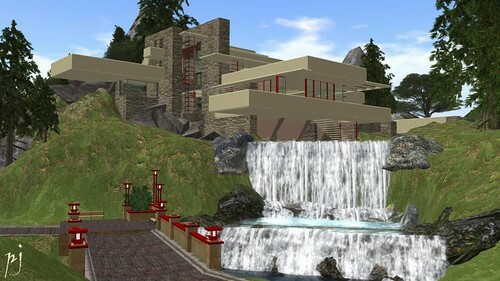 The announcement of the closure of the Frank Lloyd Wright Virtual Museum (discussed here on the Prim Perfect blog) caused dismay across Second Life and beyond, the more so because the closure was instigated by the Frank Lloyd Wright Foundation terminating their licensing agreement, and issuing a cease and desist notice against Virtual Museums Incorporated, the nonprofit organisation behind the Museum. Having visited the Museum previously on the Designing Worlds show, we wanted to share the background with our audience – and to look at the implications of what has happened. On the show we will be talking with three people involved in the Museum: – Ethan Westland, Chair of the Virtual Museums, Inc Board; Rowan Derryth, Member of the Board of Directors, Virtual Museums; and Rosalie Oldrich, Co-Director of the Frank Lloyd Wright Virtual Museum. In the second half we will be exploring explored wider issues about bringing real world architecture and artefacts into virtual environments with Monday Beam, Attorney at Law, Roy Philbin, Founder/CEO, Second Interest, and one of the people behind the very popular Dresden Art Museum in Second Life, and Dirk Talamasca, Virtual Worlds Developer and long-time observer of Second Life. The show starts at 2pm SLT, but you should be in our Northpoint studios by 1.30pm at the very latest to make sure of getting a seat. 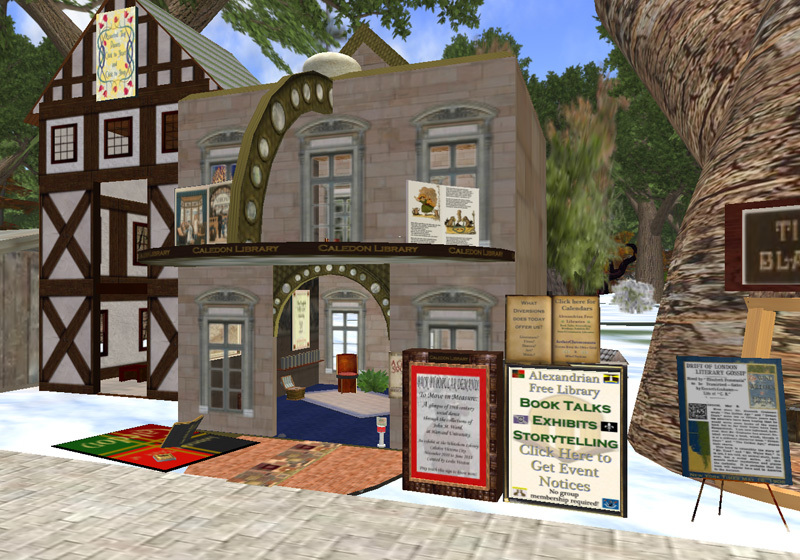 Or tune in on the web at 2pm SLT on Monday for the live show – where you can now chat with other audience members and even some of the participants during the show – or catch it later in the week on our shows page on the Treet.tv web site. We visited projects based in London and Brighton – and learned about some of the fascinating and innovative ways that virtual worlds can be used in training and support. 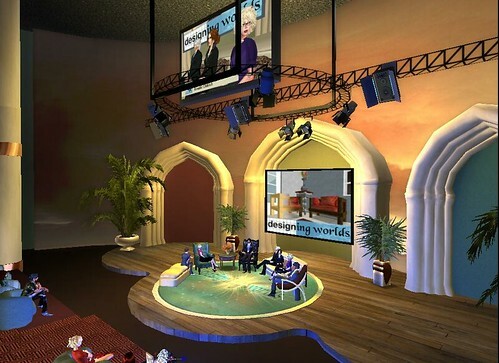 A must see programme – and not just for people interested in education in Second Life!